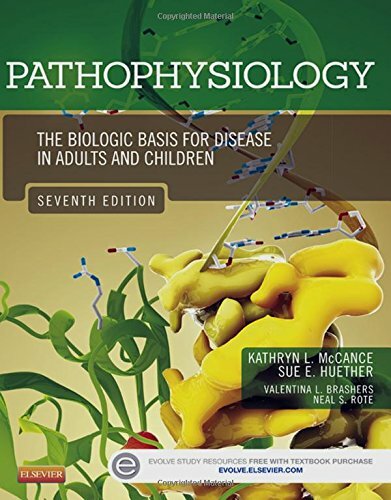 Over 1,200 full-color illustrations and photographs depict the clinical manifestations of disease and disease processes ― more than in any other pathophysiology text. A fully updated glossary includes 1,000 terms, and makes lookup easier by grouping together similar topics and terms. Algorithms and flowcharts of diseases and disorders make it easy to follow the sequential progression of disease processes. EXTENSIVELY Updated content reflects advances in pathophysiology including tumor biology invasion and metastases, the epidemiology of cancer, diabetes mellitus, insulin resistance, thyroid and adrenal gland disorders, female reproductive disorders including benign breast diseases and breast cancer, and a separate chapter on male reproductive disorders and cancer. NEW! Chapter on epigenetics and disease.